Ah yes, the combat vehicle. It’s downright prolific in the Inner Sphere (and the Periphery even more so)! We have lots of things telling us that your basic combat vehicle has a lot of value on the battlefield. But let’s set aside the fluff for a moment and talk about what your experience has really been with tanks and other vehicles. 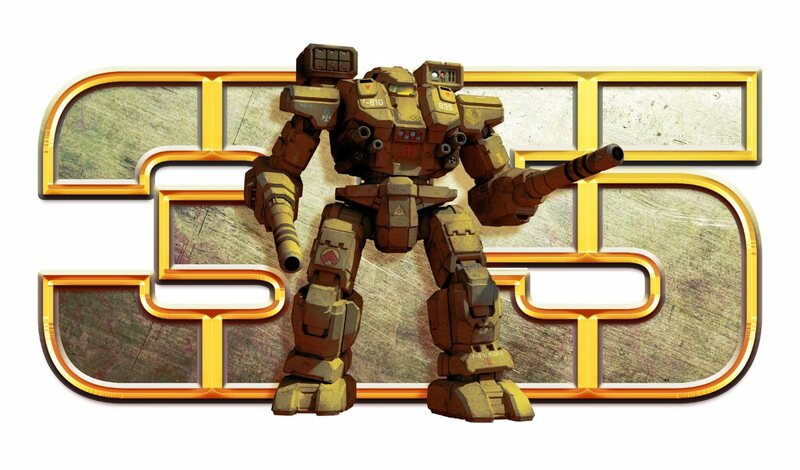 When I started playing BattleTech in 1991, for me the game was all about big giant ‘Mechs smashing into each other. Vehicles and infantry and such need not apply. They were extremely weak, and the biggest, nastiest, most armored tank you could imagine was still rocking all of the durability of a safety pin. After a few hits, it would become immobile and from there essentially destroyed. 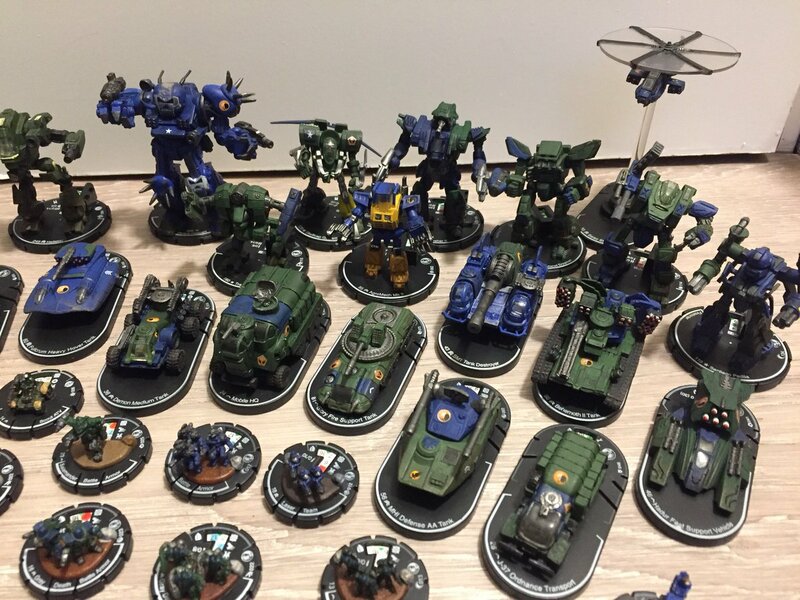 Even when my playgroup shook things up with trying out VTOLS, hover units, and infantry, invariably the old reliable ‘Mechs would blow through things and establish their dominance yet. Since then, the rules have changed, and the value of combat vehicles has improved. 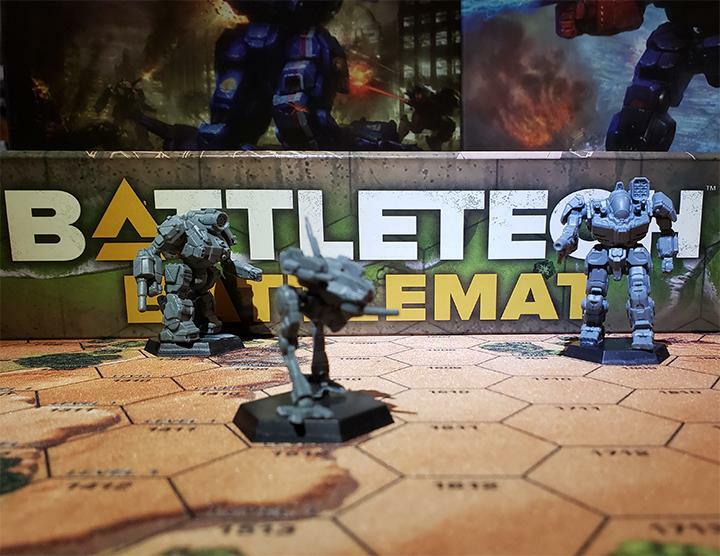 Starting online in battles using MegaMek with servers such as MegaMekNet, the lack of resources forces one to turn to mixed armies and use of infantry and vehicles to supplement BattleMech forces. Just this past week, I’ve used the Partisan Tank, a pair of Bulldogs, a quick strike by a Saladin Assault Hover Tank, and a Maxim Hover Transport to move some infantry into battle quickly, and motorized infantry tugging around an AC5 field gun. But the Ontos would Win, Right? So for me at least, some things have changed, at least online. Not in real life gaming, I’m still all about the BattleMech. After all, this game isn’t built on tanks fighting each other. They aren’t waiting with bated breath the next battle on Solaris VII between a Behemoth versus an Ontos. We don’t see the Schrek PPC Carrier on the cover of the latest book. Ultimately, this game and this universe is about big giant, humanoid robot armor things smashing each other. But online, I have learned to adapt and use combined arms, and fully fledged units that are completely devoid of ‘Mechs. But that’s still not my preferred way of breaking things or getting my BattleTech fix. So how about you? 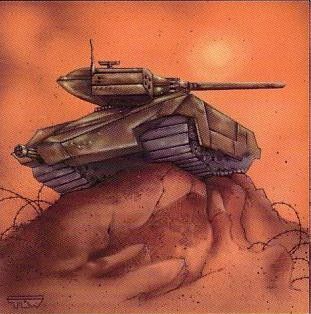 What has been your relationship with combat vehicles? Have you used them exclusively, regularly, sparingly, or not at all? What have you found out? 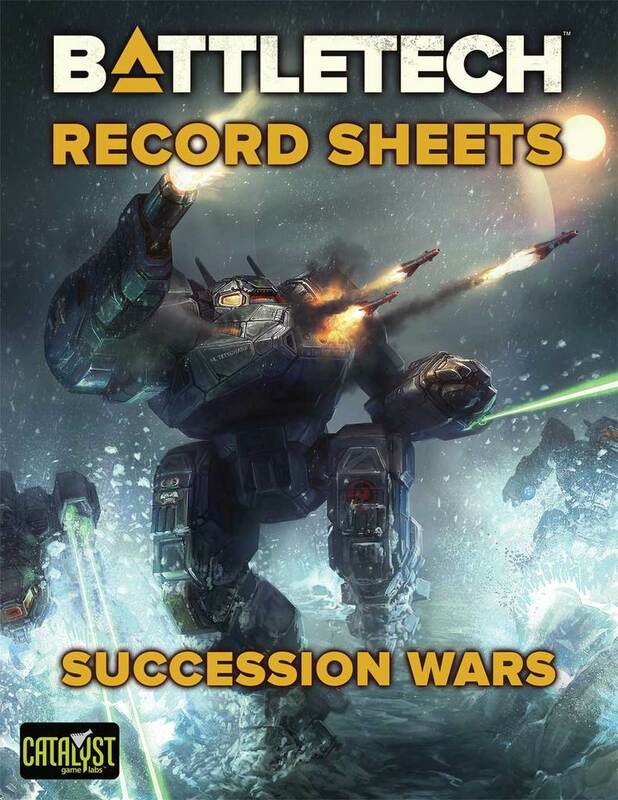 This entry was posted in Reviews and tagged BattleTech, Retrospective, Reviews on 2015/08/03 by Abe Sargent. I portrayed the 1st Proserpina Hussars on one server a while back so I got a bonus to using light vehicles I think. Hard to remember. But anyway, I ended up with lots of vehicles in my ranks, plus light to medium ‘Mechs. In my days on Battletech FrontierLands (a MUX) I always, always, always had a Pegasus 3058 Upgrade. It can do so much–scout, raid, give support, kill light ‘Mechs even…I loved that thing. I use v’s regularly overall, but I don’t try to replace the BattleMech; there’s some things that ‘Mechs just do better. But in urban combat I’m finding vehicles to be more and more effective. Hide a Demolisher up an alley, use a Hunter or LRM carrier a few blocks away to rain down indirect…With their movement bonuses on pavement, vee’s become great urban fighters. Especially because of all the missiles they can carry without fear of heat build-up, and their ability to take heavier armor per location. 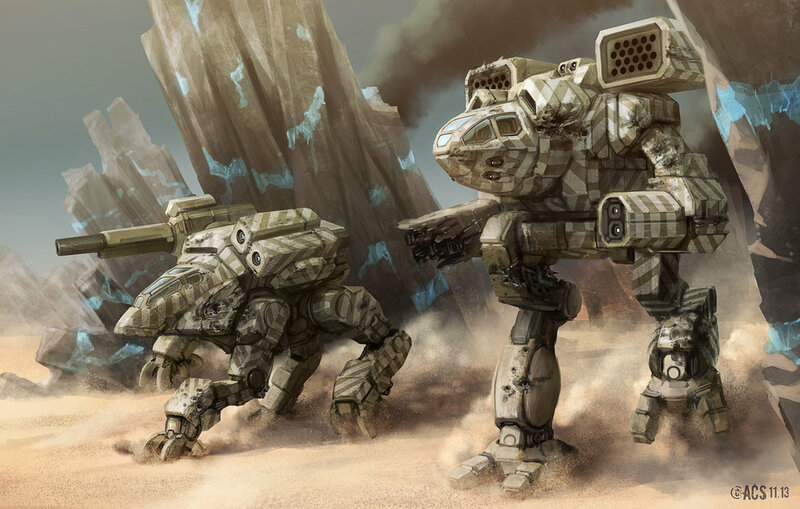 However, even then I’ll have a lance or two of at least light ‘Mechs for support, preferably Panthers or Javelins. So Urban for the win, huh? That’s cool! And I know that, like you, a lot of folks adore hover units on the right maps as well. After the 3rd turn, my hovers were in weapons range getting 20% hit-rate, of the few IS Mechs with some weapons in line-of-sight, they managed to concentrate fire on two hovers, achieve hits through 2 light Woods after 6 hexes moved… Twice the Stackpolerule applied, Brrrooooom!!!! RaDDDAAAAdohhMMMM!!! Setting 12 hexes of Woods afire, giving more than 20 Points of damage to their lightes opponent, some Scout, Raven-mod? may be?…Then I used their Jumpjets to get into closer range and find cover behind Woods, hills and closer to the rivers. One more hover “broomraddadohmed”! Damned, I thaught, feels like maize in boiling oil… But: Praise Stackpole! My exploding XLfusion gave two heavies (moved in to get into short range) such a good blow onto upper torso and their heads, that we must count those 165to to the 50to hover. Next round I moved a hover, heavily wore down by weapons fire, 2 hexes behind 2 of his assaults, an eager Atlas did not wanted to get hit by ArrowIV or TAG-LRMs or NARC pod in an enemy ECM-cloud, gave my near rubbish hover the last kick into Styx, my hover were strong believers in a thankful Stackpole-god…”broomraddadohm” burning the assaults backs free of armor down to the endosteel, initiated by their own Atlas warrior up the hill …About four rounds of play later let me 2 lame shot hovers, low on ammo, armor, escape, any perspective against an enraged trio of Victor, Atlas, Awesome, all “wounded” to some “radiation effects”, öhööm..räusper… but closing for the kill. Several swarm-i rounds were still in the ammo Dumpers and the Atlas in the middle of the three is glooming under the hoverpilots crosshairs thanks to some NARC-pod of a long dead starmate. Those twelve missiles hit the Atlas´ arm and 2 swarms did CT-critical, 3 engine hits… A Vlar 300 XL does a lot of Bumbum, you know? The Atlas´engine explosion pushed the Victor several hexes forward into the hovers carcass. It took the Awesome three turns to stand up, losing an arm in the second attempt, but beeing the Victor. BattleArmor brought-in fast, shall help to distract the big bad guys until hovers are into position or in better firing-range. Or: Bigger engine, Close-in faster, earlier bigger Bumbum! In the right terrain, a TAG equipped battle armor squad and 3 Heavy LRM Carriers are even better than a second lance of mechs. 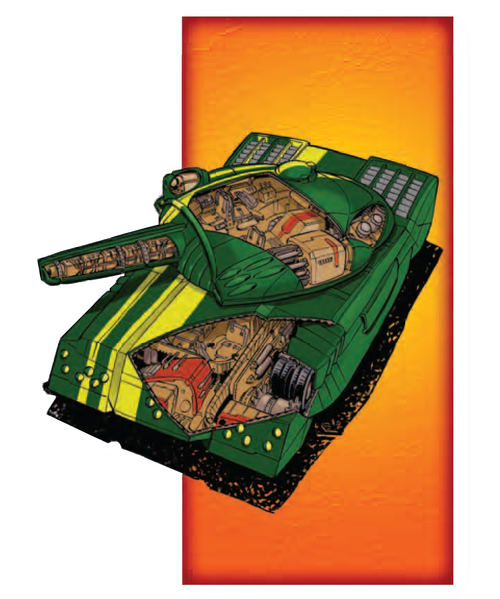 Vehicles such as the Demolisher and Ontos are excellent city fighters. Nothing makes your day like taking the head of your opponent’s Dire Wolf with a cunningly concealed Demolisher. Mostly it comes down to the circumstances of the battle. I think I would almost rather have a good array of vehicles in city combat than mechs. In open or forest terrain, no way, VTOL’s are ok for scouting and harassment but even hovercraft have too much trouble clearing the trees. I find that people often underestimate tanks–usually to their peril. Sure, it isn’t quite as grand as a BattleMech, but I’ve had considerable success deploying mixed forces on the field. 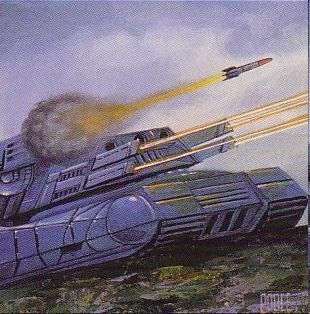 In 3025-era play, the threat of a well-placed vehicle can’t be underestimated, and even into the Clan Invasion and beyond, I find that people who dismiss the threat of a tank usually haven’t had their shins blown off by one. In the post-3039 era I keep LBX cluster ammo handy specifically to fish for motive crits and either stall tanks or stop hovercraft outright (and shoot down aircraft, but that’s another story for another day). One of my favorite things to do if I have the BV to spare is pick up a Savannah Master or two when I’m on open terrain, or at least ones where I can control the engagement range. A medium laser that goes 13/20 for 215 BV is a bargain in 3025. It may only fire forward and be a bit skiddy when flanking, but with 20 MP, a Savanna Master can afford to turn once or twice to bring its laser around into play. Conversely, in the post-Clan Invasion era, the swap of the ML for a C3 Slave turns the Savannah Master into a hilarious little troll of a spotter, since it can choose to trade its own +2 accuracy modifier for a +4 TMM against anyone who wants to take a shot at it. If it isn’t a completed wooded/roadless city map, the Savannah Master can be a tiny pest. Yeah, it’s delicate, but it’s also five tons–I kind of expect them to go flat if someone so much as hurts its feelings. On the other end of the scale is the Schrek, which I think everyone’s used to by now, what with it basically being the Awesome’s distant legless cousin. 935 BV for three PPCs in 3025 is definitely an unpleasant surprise–you can buy a Schrek for the base BV of a Centurion in the same time frame. Again, when well placed (usually meaning on plateaus and in trees), it dominates an 18-hex-radius bubble without having to volley-fire like the Awesome. Unfortunately, this means it attracts a lot of return fire, which is why I try to pair it with units that are often more tempting to shoot at. This is an entertaining use of a BNC-3E if you’re assigned one, by the way; park the Schrek someplace inconvenient to the enemy, and put the Banshee in threat range, especially if the threat of charging is there. Now they have to decide if they want to waste a turn on the Banshee but let the Schrek do its job, or if they want to be sure they get the Schrek and hope the Banshee doesn’t get close enough to start punching people next turn. I once had a Zeus and Griffin make the mistake of splitting their fire in the face of this combination, whereupon the Banshee body-checked the Griffin and the Zeus got knocked down after the Schrek landed all three PPC hits. Lots of fun for me, not so much for the Lyran I was playing against. My biggest headache with vehicles is that if you bring enough of them to the battlefield, someone will eventually get wise and start bringing Thunder LRMs to try and box you in–which is why I like to bring in a Striker every now and again. It’s a very reasonable 564 BV, but I think the real boon is that it has two ammo bays for its SRM-6. This allows you to bring standard SRMs as well as a secondary utility type such as Inferno or Minesweeper. 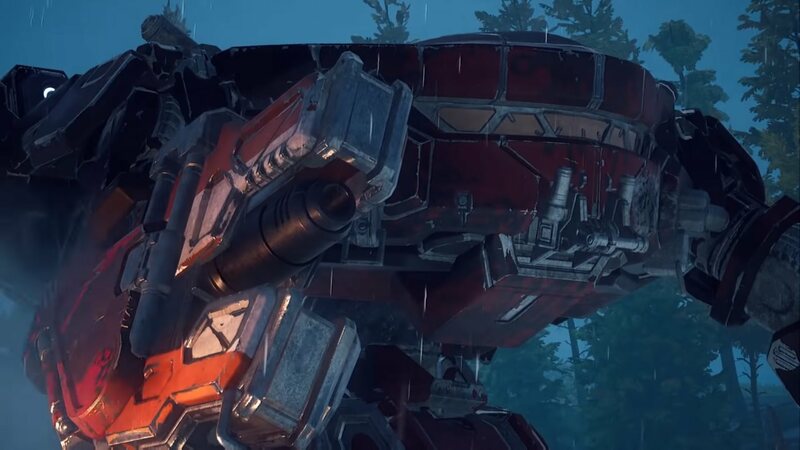 Additionally, if you’re like me and have mild doubts about the direct-damage abilities of the LRM-10, just swap that bin for Thunders as well, and then you’re back in business and returning the favor. A lot of people overlook the Striker since it’s often not doing much direct damage (and I usually try to deny LOS to it anyway) but most people take note after one or two casual missteps into a field of Thunder mines. I’m a firm believer that every unit type has its place, be they vehicles, ‘Mechs, aircraft, or infantry, and woe to anyone who brushes off the threat of combined arms. So yes, I rather like vehicles and have no qualms fielding them. They’re canonical, they’re enjoyable, and sometimes they can pull a few nasty little tricks out of their collective hat. -Hidden BA, sudden LRM-minefields with narrow terrain is deadly. -Hidden enemies and no active probing units onboard is suicidal. -Ammo can and will explode if hitten! -JJs and lots of energy weapons influence targeting and movement, always remember! -Unbreakable fortresswalls need JJs to cross. -Closer minefields give earlier damage and directs movement, also endangers own forces. I adore combat vehicles and infantry. 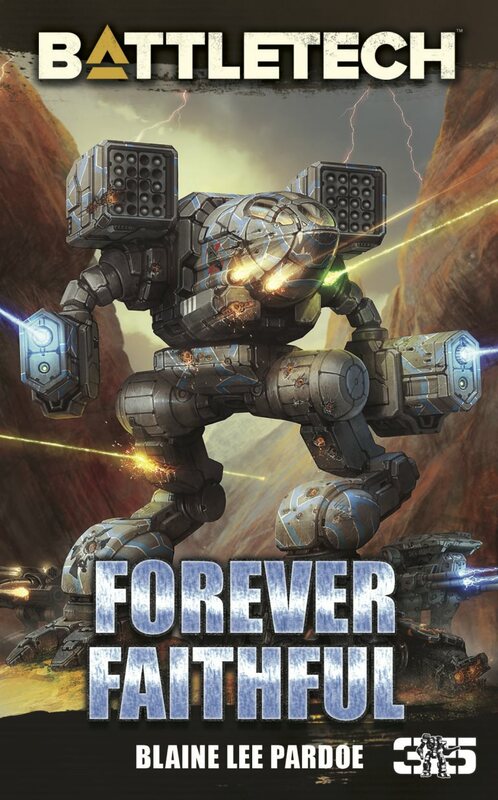 Perhaps it is because I am just fond of the underdog, or that I like to snark about how in real life combat vehicles would be far superior to ‘mechs (yes, I am fun at parties). And then there was that one game I played with some friends, where I took two squads of Fusiliers mounted in two JI2A1 APCs supported by a J. Edgar hover tank. The APCs didn’t do a whole lot (one being immobilised as soon as it had dropped the battle armour off), but the J. Edgar lasted far longer than it had any right to. Even when immobilised it fought to the very end. The Fusiliers were the last of my team to go down, taking down about a dozen damaged ‘mechs before falling after an epic running battle with an UrbanMech. Never forget.